Although some manufacturers produce screws made from conventional tool steels, such as D-2 or H-13, most new tool steel screws are made from tool steels produced from a Particle Metallurgy Process (PM). 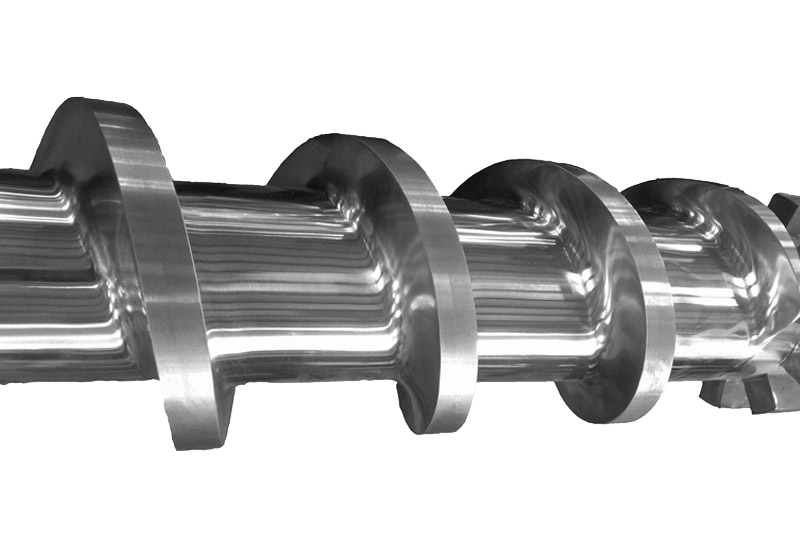 Rather than making the tool steel from poured ingots and rolled, the PM process utilizes atomization and isostatic compression to make the steel. Prealloyed molten steel is atomized into a spray of micro ingots (powder consistency) of uniform size that are poured into a large canister which is sealed under vacuum. The canister is then placed in an autoclave where high heat and isostatic compression is applied. This method allows steels to be made with a much larger percent of alloys without alloy segregation. Tool steels made by the PM process that are used for screws include PM9V, PMM4, and PM S90V.